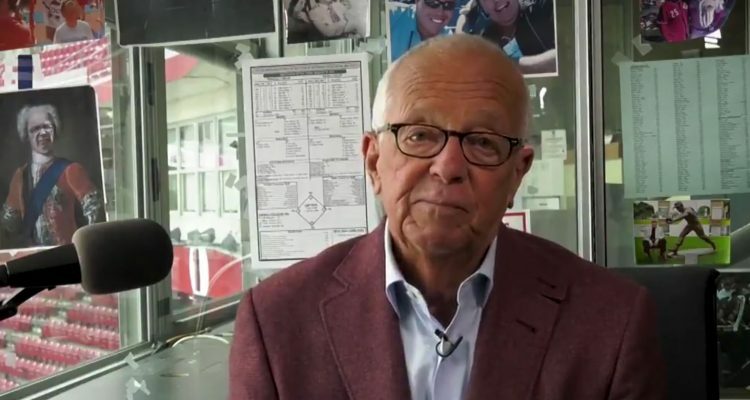 Earlier today shockwaves hit the Cincinnati Reds baseball world as Marty Brennaman announced that 2019 would be his final season calling games. The 76-year-old broadcaster has been the play-by-play voice for the Cincinnati Reds since the 1974 season. He took over for Al Michaels, joining the booth with Joe Nuxhall. The two worked together as a broadcast team for the next three decades before Nuxhall retired following the 2004 season. Marty Brennaman has seen the best, and the worst of Cincinnati Reds baseball. He was there for the Big Red Machine’s two World Series in 1975 and 1976. He was there for the 1990 World Series sweep over the heavily favored Oakland Athletics. But he was also there for the 1982 Reds, and the entirety of “the lost decade”. He was around for the tough stretch that the team has gone through over the last several years. Basically, Marty has seen just about everything. In his first year with the Reds he called Hank Aaron’s record tying 714th home run. He called a perfect game by Tom Browning. He got to call, unfortunately, a no-hitter in the playoffs by Roy Halladay. Brennaman was on the mic to call Ken Griffey Jr’s 500th home run. He was also on the mic to call his 600th home run. And perhaps my favorite, he was on the receiving end of a Banana Phone call from Adam Dunn, who asked if Scott Hatteberg was a good player, and if Marty had his shirt on. In 1999 the Virginia Sports Hall of Fame inducted Marty Brennaman. A year later he won the Ford C. Frick Award, given out by the National Baseball Hall of Fame for “major contributions to the game of baseball”. In 2005 he was inducted into the National Radio Hall of Fame. I wanted to retire by saying after my last broadcast, this is it for me, then walk away. The Reds felt that would be a disservice to the fans and the ballclub. So I agreed to do it this way. I will be very grateful. And very uncomfortable. Once I leave the booth, I’ll never broadcast another baseball game in this town. It’s not fair to the other guys in the booth. I will be involved in other areas. Marty Brennaman has talked about this in the past – that he wanted to announce his retirement after he was done. The Reds seemed to talk him into not doing it that way. And I think that’s for the best. There are a lot of people who would have loved to have been able to make that final listen, who otherwise wouldn’t have had any idea to do so. Good thinking by the Reds. And good job to agree to it by Marty Brennaman. Hopefully the 2019 season will be one where we have a lot of those great calls by one of the best broadcasters that have been in the game of baseball. They’ve been tough to come by lately, but when they do, he’s still up there with the absolute best of them. I will listen to more radio this summer. Yes- his unapologetic opinions and tone are too strong and its been time for awhile. But, he is a part of the greatest Reds moments the last 46 years and mostly captured the jubilation of all Reds fans. Cue the Jay Bruce 2010 home run. Daugherty article is a must read. Yes on the PD article. As a person who has been down the road over the last 4 years, MB’s remarks about the retirement process hit home. At some point you realize you just don’t want to keep on doing it everyday. Eventually that becomes a stronger feeling than the worry about what you will do; and, you take the leap. lets get him one more world series guys as a going away present! As someone who remember Waite Hoyt and Jim McIntire and Claude Sullivan on radio and Ed Kennedy and Frank McCormick on TV, the loss of Marty is inestimable. I think the young fans think of him as an old “get off my lawn” crank, but I remember when he seamlessly took over for Al Michaels who left for the Giants, and was rewarded with the glory days of the Big Red Machine! And this one belongs to Marty!! Yea, you have to disconnect your emotions as much as possible, but I know it’s not entirely possible. Personally, I think that explains to an extent why he’s critical at times. It’s frustrating losing. Then again. It always helps to come back the next day when your getting a paycheck. Yeah, I remember Waite Hoyt, and Jim McIntyre. Where have all the years gone? Well I will subscribe to the radio broadcast for sure then so I can listen to all the games and enjoy his last year announcing. Plus the Reds actually look legitimate this year. Tough division but they have a fighting chance assuming the add one more key player… or really instead of upgrading the rotation I think they should get one more dynamite bullpen arm to make that unit as tough and deep as possible. I was 6 when the Reds won it in ’74. My whole life Marty has been there. Glad we’ll get another season. I too will listen more and agree that he needs a ring as a farewell gift. Lot of good memories of Marty and Joe. Marty’s and this one belongs to the Reds. Enjoy your retirement, may be be long. I loved tuning in as a kids to listen. The signal was weak, but it got better the later it got here on the East coast of VA. As technology got better, I didn’t hear the radio broadcast as much because all games could now be watched on TV. But now with XM radio I can still catch games if I’m in the car. His play by play is 1st rate. Marty wasn’t afraid to say what we are all thinking at times, which is why he was so great, IMO. I don’t need a broadcaster to sugarcoat over the faults of the team or player. Maybe they can bring him back if Votto starts the 1st two months or so batting .200-ish again, to say he’s not elite anymore. It worked last time. Thanks to Marty for the 45 years; I hope the 46th becomes one to remember for happenings on the field of play. Life is an uneven ride. None of us are always at our best. However to have been in the same seat for 45 years, the top of MB’s game had to be pretty good; and, he had to be performing near it much of the time. Those are the MB moments I will remember. Definitely some sad news to take in today. I thought he might give it a couple of more years to see the Reds try to get back in the World Series. Listening as a kid to Marty describe the action of the BRM days was our link to the Reds. Taking the transistor radio to bed to listen to games on the west coast always got me into trouble. Sneaking a transistor radio and earphone into afternoon classes to listen Marty and Joe doing the post-season games in the mid-70’s was always a risk worth taking. In 1990, it was all Marty and Joe for the World Series broadcasts. Marty will be missed and there will be enormous shoes to fill. So, who will the next man up be in the Reds radio booth? Jim Day? In the PD article Doug linked, Marty gives a thumbs up to Tommy Thrall, the former Pensacola radio guy. Tommy Thrall will be in the booth with us this year. Sixty or 70 games and the postgame show. I think he has a real chance to be the guy. I’ve listened to Thrall when he was broadcasting the Pensacola games. He’s good. He really, really didn’t seem to like Jim Kelch that much, so it’s good to hear him talk up Thrall like that. thanks for that. When I read that you had met him, I was like I heard him for so many years but never got to meet him. Then about 20 minutes later it hit me “Oh yea, I did meet him and Joe” when they went on a tour with the Reds back around 1980 at The Ohio State University Union Hall. I was just a goofy kid back then (as apposed to a goofy adult now) and the two of them were just a nice as they could be and they didn’t act bored being asked the same stupid questions that they had been asked a thousand times before, nor did they act like they really wished they were somewhere else. They really engaged with us. They made a good impression of themselves and of the Reds organization on a young kid. The Reds should look to hire Jim Brockmire. HAH! Though season two really went off the rails. Marty and Joe were a part of my youth growing up in the 1970’s during the era of the Big Red Machine. It’s hard to express what it was like growing up during those great years following one of the greatest teams ever. Marty and Joe were a big part of that experience. I had a chance to meet Marty a few years ago and I personally thanked him for those wonderful memories. He was and is a legend. Thank you Marty! One of the Best Announcers of All Time! That’s not my opinion. That’s my wife’s. She is no fan of baseball, as a background she’s done some journalistic stuff. Way past time for this. Wish he’d take Thom with him. Glad to see him moving on, glad it’s the last season I have to hear him trash the Reds best player of the past two decades repeatedly, or just simply complain cantankerously. It’s funny that I thought about Marty and Joe doing the “Reds Caravan” before it became a caravan. He and Joe would come down to Charleston and do a presentation/q&a in an upstairs classroom at the University of Charleston in front of about 30 folks. I remember asking Marty, this most have been around ’80, if he thought the Reds were serious about signing Kent Tekulve. He emphatically dismissed the idea but was gracious throughout the meeting. They showed some Reds’ highlights on reel-to-reel no less! Gonna miss the old boy. The Reds did end up signing Tekulve, lol. One thing you got to love or hate about Marty is he is always “emphatic” in regards to his opinions. No doubt about that. I think he became a little more harsh and negative about it after Joe passed. Your probably right about that. He probably left more of the Baseball analysis as such to Joe. And he respected Joe. Then when Joe was no longer there he may have delved more into the Baseball Analysis than maybe he should. If I recall, Marty said something like (and if anyone remembers please correct me here) “I’d be a lousy manager because I don’t have any patience”. His personality is probably very demanding of a high level of performance for what you do. That worked great for him being a broadcaster. But, when playing sports at the professional level you often have to be much more patience, to get from Mediocre to Good and then from Good to Great. Got to remember in broadcasting everyone is working together to get the product out. In sports you and your teammates are working in one direction where as you opponent (who is also getting paid) is working in the exact opposite direction and there is a constant battle going on where the two meet. BTW, Does anyone know who the picture of that is just above the microphone in the picture of Marty and what the story is there? Kind of looks like a relative of Marty dressed as an English soldier in the 1700s. Growing up with the Reds, one of my memories as a kid was hearing the next door neighbor’s radio on during the summer with Waite Hoyt doing the game. I would be in bed with the window open, and his dining room was just about 10 feet away, and the radio would be on, and he would be in his rocking chair, listening to the game. The first of the Great Years, 1970, and it was Jim and Joe on the radio! Jim McIntyre and Joe Nuxhall. What a fun year that was! Jim was gone in 1971, but Al Michaels joined the team. Joe had a lot of fun with Al, and really made fun of him after the last playoff game of 1972, when Johnny Bench hit that dramatic tying home run off Dave Giusti, and then Foster scored the winning run on a wild pitch to Hal McRae. Joe laughed and said Al was all tangled up in the mike wire at the end of the game. Marty had been on with Joe for what seemed forever, but then, all good things come to an end, and Joe retired and now has passed with cancer. I’ll miss Marty too, as he and “Cowboy” actually are pretty entertaining, even though the team has stunk on ice for the last four years. And yes, it was wearing on Marty to endure all the losing. Good luck Marty. Vaya con Dios. This is bitter sweet: it’s sweet in that I won’t have to listen to him soon. Bitter in that I will have to for one more year. Maybe they will be allowed to hire someone with some actual knowledge of baseball, and maybe maybe they can now get rid of Thom! We only can dream. I hear this news with sadness – it’s the end of an era, with gratitude – Marty and Joe were the voice of my favorite team literally for decades, and they were for many years a delight, with regret – that Marty’s crankiness has damaged his reputation among current Reds fans, and with hope – that maybe there’s a little playoff miracle ahead for Marty’s last season. I’ll definitely listen to more games this year (thank you interwebs). And I’ll remember some amazing nights with Marty and Joe. The night Tom Browning threw his perfect game I was living in Boston and the only way you could here the games was on WLW, which didn’t come in well until about 9 PM when the signal could finally bounce all the way to the east coast. But a rain delay had pushed the start against the Dodgers just late enough, and then magic happened. 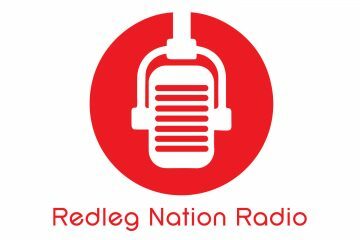 I was glued to the radio and Marty and Joe’s call. A perfect night in more ways than one. Thank you Marty – And this one belongs to the Reds! 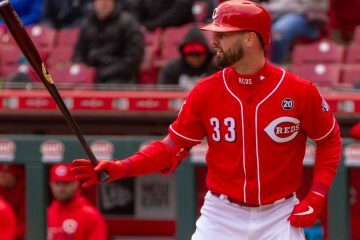 I think Marty is more frustrated about the way the game is played today more than the reds poor play over the past few years. The 3 outcome game with little activity on the basepads has to make it difficult for a play by play announcer even one as talented as Marty. (Think game 3 of the World Series this year) . Marty Brennaman, one of the very best at describing the great game of baseball. Enjoy your life. Ditto all the positive praises! Thank ya Marty!! Hopefully the next guy will continue the tradition of ripping Cubs fans. One of my favorite things to do is build a fire on the patio on a summer evening and listen to the game on the radio. My kids don’t understand it. They wonder why I would listen when the game is on TV! But, for me, it’s a method of time travel taking me back to when I would listen to the game on a clock radio beside my bed way past my bedtime. A fire, a cooler full of beers, and the game on the radio is pretty much my perfect evening. I have always admired the way Marty calls a game, but I loved Joe. I think one of the things that hit me yesterday when I heard the announcement is that the last link to Nuxy in the booth is now gone. They were the ultimate team and now the team is no more. I guarantee that I will make time for some extra evenings on the patio this summer. 98% of the time I’d rather listen to the game than watch it. Grew up listening to Al & Joe then Marty & Joe. I Remember those West Coast trips with a little transistor radio by the bed staying up way too late when school was the next day. So maybe it’s nostalgia ? But, rather I find it relaxing. I can be doing something else I’m concentrating on like working at the office, or going for a run, fixing dinner etc. and the game is on. Some people may have Bach or Mozart on while they do other things. But, give me Marty & Joe. I also had one of those little radios and used to go under covers and listen to keep Dad from hearing me.Of course he heard me and after awhile he would tell me to turn it off and go to sleep.Great memories. I echo the many above and will try to take the memory of the Marty of my youth into this last year instead of being angry with the Marty of now. Wish him nothing but well and glad he’s at a point that he’s going to take in different life experiences while he can. Good on you, sir. Don’t see that every day. Nor do I recall ever before.